Posted January 28th, 2014 by Hoffy Cycles. New road laws recently proposed look set to become a reality for Brisbane cyclists who will have a set distance between themselves and motorists. This comes after a major review of cycling safety by the Queensland government, who are set to introduce a mandatory 1 metre clearance laws for motorists overtaking cyclists on the roads. 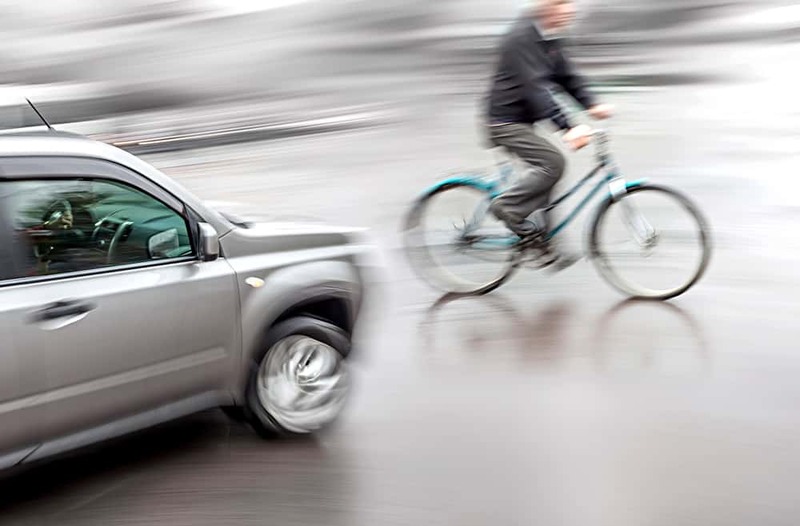 After a recent spate of fatal incidents involving cars and motorists, the cycling community welcomed the news that over time will be sure to benefit the safety of riders as drivers become aware of the new laws, and if police adequately enforce the new legislation. Should helmets be compulsory for all riders, all of the time? Other laws proposed were less than unanimous with their approval. With the mandatory new, the state government is also considering relaxing helmet laws for riders over 16 years on less risky roadways like cycle paths, making wearing helmets optional. It’s a worthy debate, on one hand it allows people to make their own decision in regards to their safety and may encourage more casual cycling which has community health benefits. It will also undoubtedly increase the uptake of council’s often maligned CityCycle scheme. On the other hand, helmets have been proven to save lives and removing this mandatory headwear for cyclists will be seen as taking a step backwards when it comes to rider safety in the eyes of some. Minimum 1 metre-law for motorists passing cyclists to be trialled over the next 24 months. The committee also recommended 1.5 metres for motorists passing cyclists when traveling over 60km/h. A driver will be permitted to cross double lines if without penalty to do this if safe to do so. A ‘rolling stop’ which allows cyclists to treat give way signs as stop signs when safe. Equal penalties for cyclists for breaking road rules to bring them in line with motorists. 24 month trial which exempt cyclists over 16 years from riding with helmets on roads with speed limits of 60km/h or less, cycleways, footpaths and in parks. We eagerly await the results of this trialled legislation and see how many of the other recommendations will be implemented. Cycling safety is an important part of making cycling an attractive and adopted pastime for all, and we hope that despite helmets now being voluntary this won’t have significant impact for cycling safety as some have predicted. We encourage all serious riders to wear helmets when riding on the roads, as well as keeping their bike regularly serviced and repaired. For bike accessories including helmets as well as servicing and repair, contact the experts at Hoffy Cycles today at 10 Bowser Pde Sandgate.